IV Therapy- A way to refill your body’s empty gas tank! One of the first things we learn when we start driving is to WATCH-THAT-GAS-GAUGE! 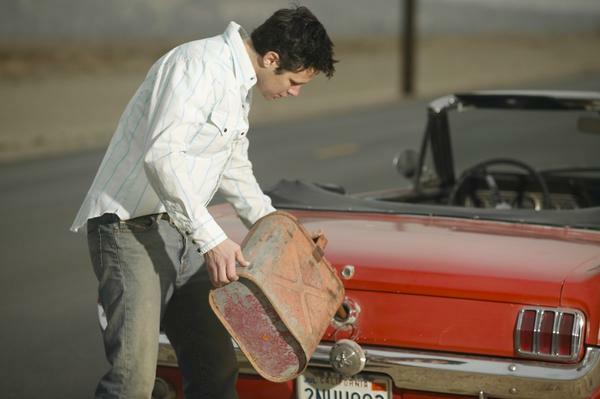 Running out of gas on the open road is NOT a pleasant experience. The engine sputters, jerks a few times, and then dies. All power to the car is instantly lost. The same analogy can be applied to the human body as it relates to fatigue. Persistent tiredness can take a real toll on our physical and emotional well-being as well as affect relationships with our families. Like a car running out of gas, exhaustion makes the body weaken and “sputter”. In extreme conditions, the body may even shut down. At the very least, it makes it more prone to illness. How Big a Problem is Fatigue? According to a Department of Health and Human Services report entitled Reasons for Visiting Physicians, a staggering 14 million Americans go to the doctor each year complaining of exhaustion. Add to that uncounted millions who seek medical advice for other reasons but also mention significant exhaustion. Then, there millions more who never seek help but are nonetheless tired all the time. It is clear that fatigue is a major health problem in America! At Guyer Institute, an increasingly popular procedure involves using IV Vitamin/Mineral Therapy to treat various health conditions, including fatigue. These therapies are individualized depending on the clinical laboratory chemistries of each patient. Dr. John Myers of Baltimore, Maryland first developed the IV vitamin/mineral infusion therapy (aka the Myer’s cocktail) several decades ago to help his patients suffering from chronic inflammation, slow cellular or connective tissue healing, or body healing in general. Dr. Guyer learned of the therapy during his residency from another doctor who was a protégé of Dr. Myers. Since it’s inception in the 1980’s, subsequent physicians expanded and further refined the use of IV Therapy. Today, Guyer Institute has performed well over 100,000 IV Therapies. Many of our patients notice immediate improvement. “Why does IV Therapy work so rapidly,” you ask? By feeding these therapeutic vitamins, minerals, and other natural substances directly into the bloodstream, the GI tract can be bypassed completely. And, that is a good thing. Many times, it’s the stomach and intestines that prevent absorption due to poor intestinal function. What conditions can IV Therapy can help? If you feel your body’s “gas tank” is running low, give us a call. A simple consultation could result in a new reinvigorated YOU through IV Therapy.